It was just after starting my first business at 18 when I started to understand that the wealthy operated in a whole different world from the world I grew up in and had been “educated” in. When I came to that realization in the beginning of my self-education journey, I knew it was the world I wanted to live in, it was the reality I wanted to live each and every day. …So what opportunity would cause someone like Hans Schoff to literally pickup and move away from the great California weather, climate and scenery some 2500 miles east to a hot and humid Alabama where we knew no one and had only visited but twice before? Call me an opportunist, call me a dreamer, call me what you like, but when you believe in something strongly enough – when the facts speak so loudly – and you’re committed to achieving your goals and going after your dreams – you’ll do whatever it takes, you’ll put your money where your mouth is, so-to-speak. Did leaving California seem crazy at the time? From an emotional point of view, from a comfort point of view, from my friends and family’s points of view: yes. It was evident at the time (in early 2007) from all our market research and analysis of the California market cycle and conditions and other factors that California would continue to move toward economic obsolescence, that the good times there would soon come to an abrupt end because the fundamentals for doing business and investing in California no longer made sense, in fact they just continued to get worse. We had maximized the potential for the opportunities we saw around us and being young and ambitious, hungry for more, we wanted to position ourselves to be able to take maximum advantage of the incredible opportunities the coming economic landslide would create. 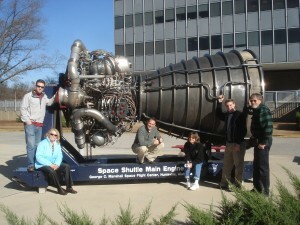 It became clear that relocating to Huntsville, AL to get in front of the growing demographic, employment, business and other economic trends was the best way to continue along our creating wealth journey to grow our businesses, accumulate more assets and find or create additional investment opportunities (plus I had to live in a city that pronounced in German is Hans-ville, right? :). Lol. Ever since I had my first taste of independence, I’ve always resisted going with the flow, which has caused lots of conflict over the years, whether it be with the school system, family, a JOB or a way of life but I just like to be different. It was about a dozen years ago in my first year of college at SDSU that I discovered a different path for myself, one that would eventually take me towards my life-long dreams and goals. Starting my first business that year at the age of 18 was the best education I ever received. It put me through the University of Hard Knocks (where I learned more than I ever did in college), having to learn the lessons necessary for success from the ground up -sometimes the most painful but best way to really learn, a philosophy I still follow today when it comes to really mastering something; reading and studying is one thing, but doing and taking action is quite another. That first business forced me to develop the business & life skills necessary for success and survival, aiding in the expansion of my business throughout California and then on to Europe where I, too, expanded my horizons. I spent several years in Europe as I built up and tested different business approaches and marketing strategies while increasing my education & skill sets in preparation for bigger & better things. When I returned to the US, I felt the timing was right to leverage our business experience and skills to jump into Real Estate & Finance not just with both feet but all my appendages! I bought our first apartment complex in Lake Tahoe, California, starting again from the ground up. As the full-time handyman/bookkeeper/property manager/real estate agent/loan officer/asset manager/investor, I ate, drank, slept and breathed real estate. Again, an invaluable experience which has now today resulted in a multitude of businesses and companies including residential & commercial real estate investment, development, construction & management to name a few, while I also now mentor & consult various real estate groups and students all the while continuing to grow my assets. Then, with all the financial and real estate market turmoil and turbulence in 2007-2008, I began to see an unmistakable trend going mainstream. Whether for cost cutting, efficiency, better profits, better technology or for more exposure to a bigger market, business was going online. Many businesses had already begun integrating internet technology and some online marketing into their business plans of course, but technology was finally advancing to the point where even small business owners could seriously compete and make money in the online world, marketing almost anything. I had some prior experience building websites and marketing online in the early days of 2000 but the internet had since come quite a long way, now with this “web 2.0” technology, for instance. So I got to work learning how to market online, seeing the huge new opportunity “online marketing” could present in the future and setup my first blog. Then after many, many weeks of trial and error, I had my blog and a few other sites set up, I was article marketing, advertising, creating leads and generating sales. I then took my internet marketing skills and knowledge into the offline world to see how I could impact the sales for a more traditional business (tornado shelters) and within 6 months was able to create over 6 figures worth of sales from this website I created. But the best part of it all though is being able to share my wisdom of acquired knowledge & experiences with others – hence this page, my blog and other internet resources… Having earned my education through self-application, home study, hard work and lots of trial and error, I have a passion for helping others find their own way, whether that be through investing, starting your own business, creating home based income, marketing online, or something else. I also like to give back through local cash flow, investing & training events like the buying tours we do, where we take students by the hand into an absorbing/expanding market to show them how to successfully invest for positive cash flow, for example. I also take take on new business partners on occasion, showing someone the ropes of what it takes to build a successful business from home utilizing the internet as well as more traditional business building methods. As I continue to grow my businesses and investments, I plan to expand back into Europe and beyond in the future taking advantage of the foundation we laid out there some years ago when the time is right. In the free time I do have I love to travel; Destin, Florida as you’ll see from my many photos is a new hot spot I love to drive to (as well as the mountains for Colorado and Lake Tahoe whenever possible). This also fulfills another joy of mine, which is listening to mp3s & podcasts while driving as I love to learn new skills and techniques to help me grow and improve in all areas of my life. My boy Claude (black lab) also keeps me very entertained! Did you find any part of my story or background interesting, inspirational, boring, educational? I’d love to hear your thoughts, opinions and comments – just post them below! Feel free to peruse my blog and search for any articles or content that can help you in achieving your goals and dreams. PS> If you’d like to contact me, just fill out the form here. Thanks! Crusing in Destin Bay, Florida – I love the ocean!